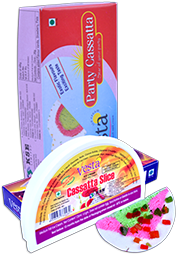 Pista flavored ice cream is sure to delight that adds a Wonderful texture and Flavor. 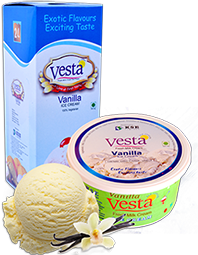 No other flavor can beat the ultimate creamy classic: Vanilla Ice Cream. Eat it simple and pure, Mix in chocolate or fruit, or add your favorite toppings. 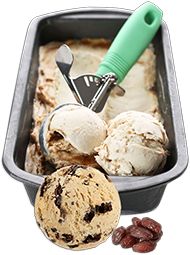 Coconut premium Ice Cream from us is creamy coconut savored ice cream made with Coconut milk and flakes of coconut throughout. 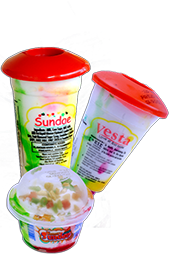 Cool and lightly flavored, this ice cream makes perfect end to your dish. Meet the sweet succulence of strawberry flavor in this season with the fresh taste of strawberry. There is such a thing as a healthy date ice cream which is so yummy, a great flavor to enjoy that people won’t guess it is made of dates. 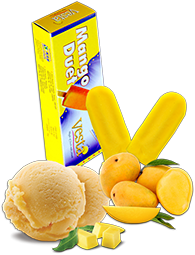 Delightfully and so delicious mango ice creams that is amazing. 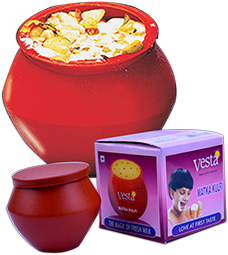 Beat the heat with a bowl of mango cream, taste it, enjoy, close your eyes and dream of a fabulous thing you loves most. 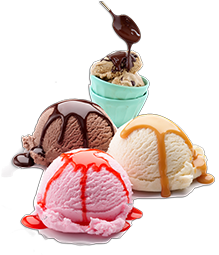 A supreme rich creamy chocolate ice cream made with the finest chocolate. 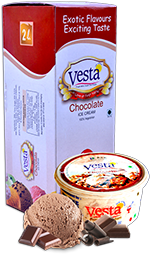 Everyone will live this chocolate ice cream, perfect for all times. 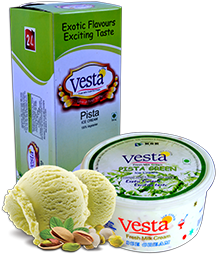 Pista green ice cream is a delicious Indian recipe from the house of Vesta that can be served as a dessert. This classic dessert sauce can be served with chocolate soufflés over ice cream alongside some bread puddings. 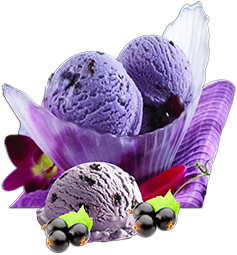 BLACK CURRENT flavored ice cream is sure to delight. Eat it simple and pure, Mix in fruit. 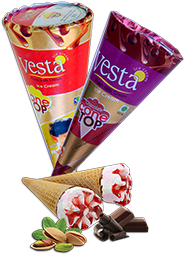 Vesta cone ice cream is the perfect choice for children’s parties and family gatherings. If it’s a waffle cone, a sugar cone or a wafer cone, Cone ice cream is a better way to enjoy. A divine treat for all sweet lovers, the fig & honey icecream is not only rich in taste and creamy in texture but also amazing in health benefits. Kulfi recipe ice cream, a traditional Indian ice cream made with full fat milk. 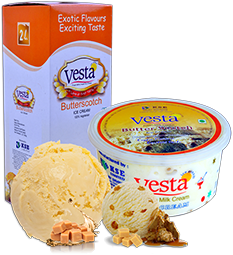 It is an accepted frozen dairy dessert from the Indian Subcontinent, gives you a rich treat on a hot summer day. 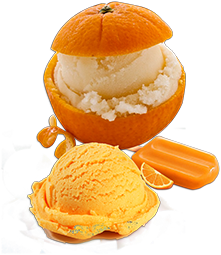 Orange Ice Cream has a lovely grainy texture (like a sherbet) that's full of citrus flavor and rich with cream. 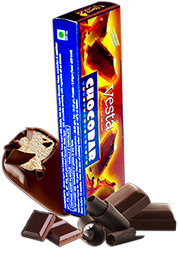 It offers the perfect blend of vanilla and orange in every bite. 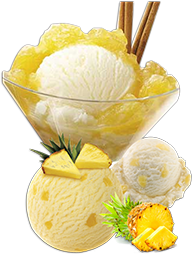 We bring you the real flavor of Pineapple, which is a cool treat at the end of a meal in all seasons. 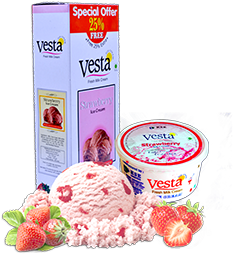 Vesta sundae premium ice cream is Vanilla spiked with peanut butter choco footballs and swirls of peanut butter.